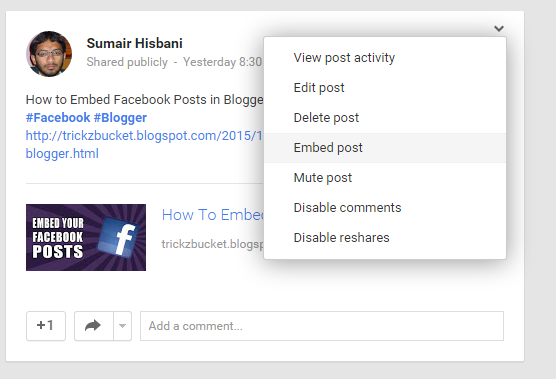 How to Embed Google+ Posts in Blogger After Facebook and Twitter, now Googl+ has announced the embed option. 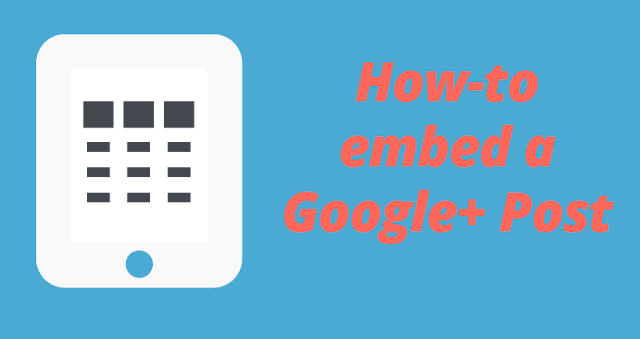 Here is the guide on how to embed Google+ posts in Blogger Posts. There are so many reasons why a blogger should use social media to gain a decent traffic to his blog, it's the easiest and a popular way to keep readers engaged to your blog. According to me, a blogger must use Facebook, Twitter, Google+ and Pinterest to help readers find his content easily on social media, because millions of people using social media on daily basis. So in this short tutorial, I will show you how you can embed Google+ posts within your website or blog. It's a quite good way to tell your readers that you are available on social media and you can share any of your Google+ post with your blog readers as long as it is shared publicly. 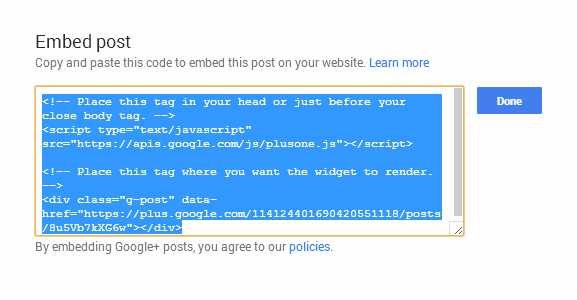 So first of all, let's have a look how a Google+ post look like when embedded. 1. Select your Google+ post you want to embed, just like I have choose to embed my How to embed Facebook Posts in Blogger in above demo. 2. Hover over the post for the menu icon to appear (as shown in picture below). Then click the menu icon, and select 'Embed Post' from the dropdown that appears. 3. Select 'Embed Post' option and copy the embed code. 4. 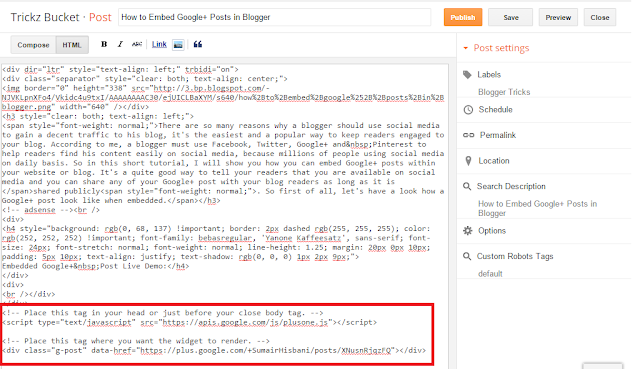 Do not worry about the embed code comments, just paste the embed code in Blogger post editor HTML section. That's it you are done! 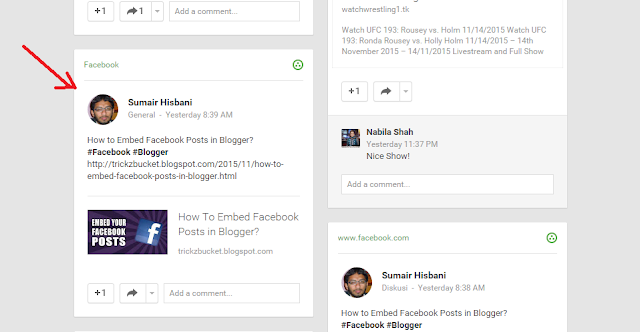 You have successfully embedded Google+ Post in your blogger blog. Here is the bonus tip from Me for all of you who share's my posts and leave's comments. How about positioning your embedded post in your blogger post?